Available on the Photoboof website since November 7, 2012 the current beta 7.6 adds video screens similar to what Breeze recently added. I have not heard specifics on this nor tested the beta but I assume that this works similar to the Breeze implementation. Uploading to Facebook directly from the booth is fixed. That broke in the last version when Facebook changed their API. More details here (see "Method 2"). Support for the Canon T4i. You can now show an animation for your Ready graphic instead of a static JPG. See the 3rd "Advanced Tip" here for more details. If you edit your configuration.ini file manually or have done a lot of Photoboof updates, you might like the new feature that formats your configuration file. Click File -> Update Raw Preferences file and the structure will be updated with all the new comments and variables. There's a new and much more reliable bill acceptor system. If you're using this, please email and we'll get you started with this. Documentation coming shortly. Fixed a focusing error issue on some Canon DSLRs. Lots of under the hood changes and improvements. Are you a Photoboof users? 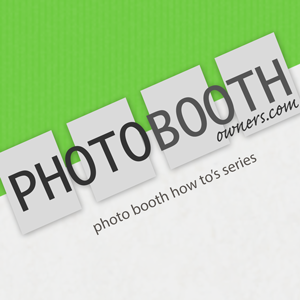 Visit our Design Shop where we have lots of Photoboof templates and are adding more regularly. New player enters iPad Photo Booth market and it’s good!